The Rosselkhoznadzor tested ten samples of black caviar, which is produced at the Russian factories, sold in leading stores across the country and found that at least four of them — from imported caviar. This was stated by the head of Department Sergey Dankvert in an interview to"Rossiyskaya Gazeta", published on Tuesday, January 8. "The way of the six samples we were unable to trace. Four samples made of the imported caviar, although the label just do not have any domestic names", — quotes its publication. The head of the Rosselkhoznadzor, said: caviar is actually produced in Russia, but from raw materials imported from China and Italy. Dankvert pointed out that the law in this case is not broken, but the quality of the product that is packaged at the Russian factories, are suffering. "And consumers do not have information about the origin of the raw materials, so they can't make adequate conclusions about the freshness of the product," he said. Dankvert also said that in 2000 years from Russia actively exported fertilized fish and now abroad — in China, Italy, Germany, black caviar is produced in larger quantities than in Russia. 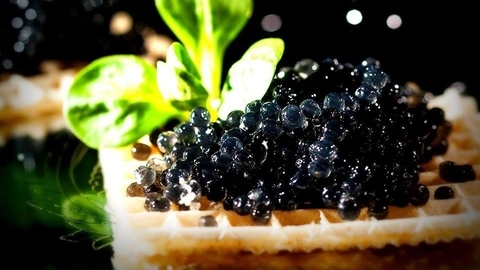 8 Dec "Roskoshestvo" published test results 29 brands of caviar.